"Yet another Cel Shaded game? Hardly!" There's been a glut of cel shaded games lately across all formats, with little to distinguish them from each other. Until the release of XIII, the only cel game worth it's salt in my opinion would have to have been Zelda on GameCube. That's not to say that other titles haven't been highly enjoyable, they just have not stood out as far as I am concerned as an overall gaming experience. There are so many plusses for this one. 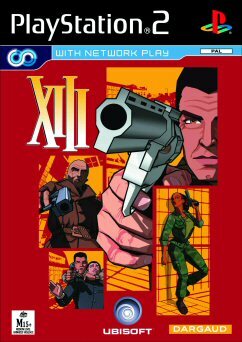 An intense storyline (based upon a popular French graphic novel), amazing artwork and a great control system to boot, XIII has everything that fans of first person shooters could hope for. This title is a beautiful example of a comic book brought to life. Characters are exquisitely shown in glorious detail. Environments abound and players should enjoy the different playing areas that are presented to them. Whilst not showing the same immaculate detail that characters do, the maps are well designed and lend themselves to a fast playing game, however this also leads to an extremely linear game as well. There is a feeling of being trapped within the playable limits of the game, which considering that the Unreal Warfare engine was used, shouldn't be the case. 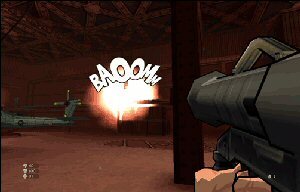 Comic book effects are used throughout the game to create some of the most innovative sequences I have seen in a game in some time with little comic panels showing when explosions are special attacks are carried out. This approach is refreshing and makes the game stand out as something special in it's own right. Weapons abound in this title and the control system is incredibly intuitive, meaning that you should be up and running in no time at all. There are two seperate control systems in place where you use the DPad for general inventory and items such as a grappling hook, medkits and the like. There is also armour all over the place so if you are finding the game a bit too easy then make sure that you try the difficulty on hardest where you will take something akin to real damage when hit. 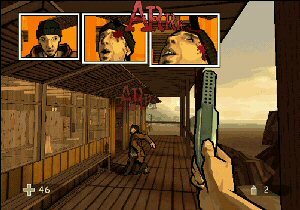 The game uses a jazzy soundtrack and this intensifies when you are in trouble. It's a unique take for a game to use jazz and is in keeping with the rest of the title. Weapon sounds are a little weak and don't really increase in level despite being very different from each other. The game also has autolock to assist with tricky shots. 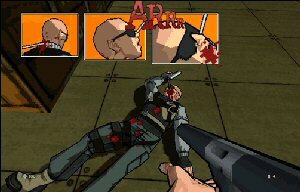 Online action takes place through the PS2 and it's a lot of fun, the primary mode of entertainment being deathmatch for getting in and out of a game quickly. There is also another mode called Sabotage where you simply have to blow stuff up. Gamers will have a ball with this title, though I personally think it may not sell well due to the cel shading angle. You would have to be a real dummy to not get this game if you are a fan of first person shooters. It has it all; great indepth story, intuitive controls and great graphics, I love it!